There's nothing like the bond between siblings. Even if something happens, there is an undeniable connection where forgiveness is just a conversation away. 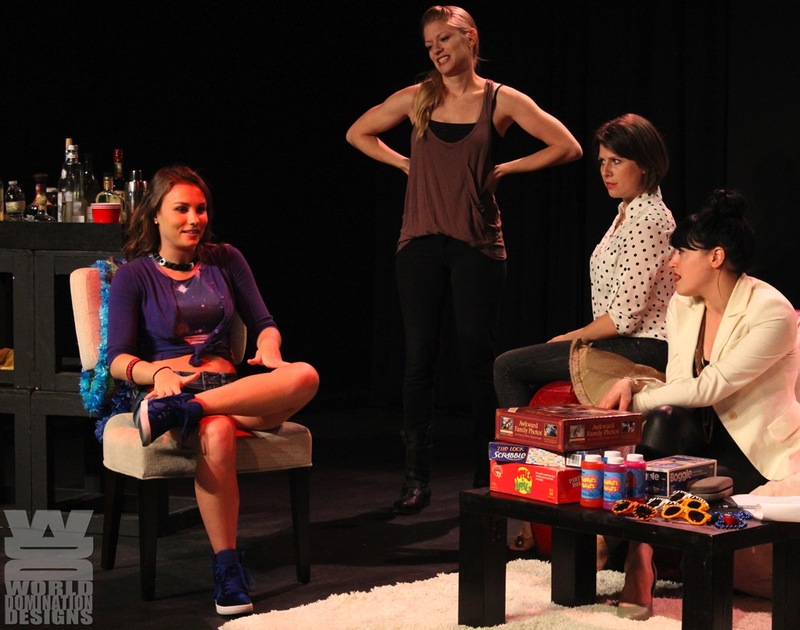 Written by Meghan Gambling, Bonnie's Future Sisters is a captivating comedy that showcases the beauty of sisterhood. Bonnie is engaged, and to celebrate the occasion she brings all the sisters, well her sister and her soon-to-be sister-in-laws, together for a getting to know you night. But just as the liquor starts flowing, truths come out and mistakes are made as the true test of family is out to the test. Bonnie's Future Sisters is smart writing. Not only has Gambling penned great characters, she gives them immense depth. she has composed a genuinely great stage play. The situation is fun, the characters are relatable. It's one of those shows you could watch again and again. And what's so great is that Gambling has room to expand and add. We see the dynamics of all the characters but we're left wanting a scene between the "bad girls" of the respective families, Corey and Larissa. Nevertheless, Gambling's ability to bring effortless humor and moments of tenderness in a single moment showcases her talent as a writer. Gambling has a pulse on crafting strong characters. As good as the writing is, it was elevated by the dynamite chemistry on stage. The skilled company was in-tune with one another, never dropping a beat. The mesmerizing Sascha Alexander encompassed the perky optimism of Bonnie. The self-gratifying Bonnie is intense yet Alexander made her enjoyable. As her sister Corey, Kristen Rozanski brought a dry wit and slight cynicism. Playing polar opposites, Alexander and Rozanski bounced their dialogue right off of one another. Emily Jordan’s youthful Larissa was bratty yet avoided playing the teen angst card. Sarah Greyson captured the go-with-the-flow aura of Kayleigh. She found the fun in playing the tease in the cat and mouse game that was Kayleigh and Corey. With four different spirits and personalities, the quartet exemplified the strength of a united ensemble. Taking on the role of writer-director can be troublesome. Meghan Gambling seemed, for the most part, able to combat it. Gambling prescribed to the power of stillness, making the action of the evening real. There were no unnecessary crosses to change up the stage picture. It felt right. Bonnie’s Future Sisters is a well-oiled machine. It moved while moving you. It’s a sweet play written by a promising scribe.